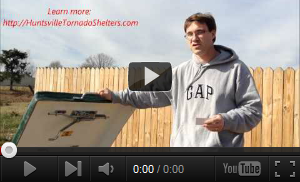 Tornado Survival Kits – Special Discount! For a limited time only, we are offering a special discounted price on our *new* Tornado Survival Kits below! This price will not last long and may be removed at any time as we are not able to continue to offer this low price for long. But this is an important survival product / package, especially for anyone in “tornado alley” or anywhere that regularly gets tornadoes (or any size). With this limited time discounted pricing, we hope to be able to provide more people with the safety and preparedness items they need to keep their family safe, informed and comfortable during severe weather or tornadic weather. We appreciate your business. Read below to learn more about this incredible product and all its benefits and be sure to check out our tornado shelters as well. Are you prepared for the next tornado / severe weather threat? In some areas of the country, like the southeast in particular, tornadoes are known to strike several times a year, varying in intensity and damage. This is a serious and often times deadly threat, and one that you and your family can easily be prepared for, thanks to our new Tornado Survival Kit. When the sirens are going off and the wind is blowing… that is NOT the time to try to prepare for a tornado or severe weather. By that time, its already too late and you’re in trouble. Don’t let that happen to you, don’t become a statistic! Be prepared ahead of time, be ready for the storm with our Tornado Survival Kit! What does our Tornado Survival Kit Contain? First of all, we have designed our Survival Kit specifically for severe weather and tornadoes, as I’ll detail out in a moment. But to begin with, our high-quality, bright red canvas bag is clearly labeled for easy identification in stressful situations, with hand straps and a shoulder strap and 2 larger exterior pockets for quick access because when you may only have seconds to spare, you don’t want to waste them trying to remember what your kit looks like! Of course, the bag itself is really just a container for the essential items in the bag – along with enough space for you to add additional items per your family’s specific needs or requirements. Battery powered Weather Radio – being aware and alert of what’s going on, where the storm is and where its headed is probably the most important part of making sure you’re prepared for a tornado. If you don’t know what’s going on, if you’re not able to pay attention and understand what is going on – even if you’re in a safe place from a tornado like one of our underground Lifesaver Storm Shelters or above-ground All Weather Safe Rooms – you might be fretting about a storm for no reason, be sheltered for much longer than necessary or worse, realize the tornado threat too late and not be able to do anything about it… Utilize this weather alert radio to receive emergency weather alerts for your local area and stay protected during power outages with built-in battery backup. Duct Tape – things break, especially at the worst times when you don’t have the time to fix them. Duct tape is such a useful item for keeping things together, to write on and use as a label, for patching holes and tears, bundling things together or taping them out of the way, getting things to stay put and so much more. Can temporarily be used to do the job of many other tools that may not be immediately available or convenient in times of emergency or high stress. Multi-tool – you don’t want to have to carry around every tool you own, due to the unnecessary weight and likelihood you’ll ever need any one particular tool in a given emergency or severe weather situation. But the odds that you wish you had certain tools and the peace of mind of knowing you have the most useful tools at your disposal – without the risk of them get misplaced – are significant. Its no chainsaw or air gun, but it will get the job done, whether you need to hammer, chop, grip, grab, tighten, saw, cut, slice, file, lever… this tool has you covered! Screw-driver with multiple bits – probably the tool most often needed for simple adjustments or to unlatch a battery compartment, etc. This is one tool you likely want to have on its own – with a variety of different flat-head and screwdriver bits – as it can make a quick easy job of unscrewing or tightening something. Matches – obviously fire can come in very useful for cooking or heating or lighting a gas appliance. Rope – in case you need to tie something together, hang something up, tie something off or down, or leash a pet. Very versatile. First Aid Kit – this is pretty self explanatory. In moments of uncertainty and scrambling around, cuts and scratches are easy to get. Keep any wounds from getting worse like infections or to stop the bleeding and mess. A simple yet important part of the kit, featuring different size bandages, gauze, hand cleaning wipes, antibiotic ointment, sterile pads and case. Blanket – having a blanket in emergency situations is important, not only to retain body heat but also for a psychological sense of security that may be needed in times of uncertainty and stress. Hand/Foot warmers – cold, shaky hands make a lot of things during a stressful or uncertain period of time much more difficult than would otherwise be the case! Plus, having warm hands/feet can again aid in the comfort of an otherwise uncomfortable situation. Poncho – when there’s tornadic weather, there’s usually wet weather as well. Keep yourself dry and more comfortable to keep your wits about you and have one less thing to worry about, while keeping your spirits higher. Very compact and very simple yet can make a tremendous impact on how you feel when running around in wet weather. Moist Wipes – for keeping hands clean and sanitary so you can operate communication equipment or your phone, apply first aid, wipe your kid’s snot-nose, and keeping anything else you want to wipe clean. Emergency Planner – a custom kit we put together for you to help ease and guide the creation of your emergency plan, essential for any emergency and this tornado survival kit, including a list of additional items you may want to add to your kit, from food and water, to other advanced or specialized items you may find useful or necessary depending on your situation or circumstances. Waterproof bag – this large 24in x 30in waterproof bag can help protect copies or originals of your important documents, like property deeds, insurance paperwork, IDs/passports, or even flash drive sticks with important computer files, images or videos as well. Pencils & sharpener – to use with your emergency planner for taking notes and/or to use for entertainment or distraction (doodling, hangman, tic tac toe, keeping score of other games, etc). Playing cards – low tech and simple to use, yet so many different games you can play, tricks you can show off, or structures you can build to keep you and your kids’ minds off of what’s going on outside and make the most of an unpleasant situation – you might even end up making some of the best memories with your family! How much does the Tornado Survival Kit cost? As you can see through the extensive list above and the pictures of some of the items in the photos on this page, this is a quality product with quality components. There’s a lot packed into this 8 inch x 12 inch x 16 inch Tornado Survival Kit bag, NOW AVAILABLE for purchase for $179.99 $129.99 including taxes (plus only $9.99 shipping across the continental US; contact us for other locations)! Special Tornado Survival Kit Discount – Limited Time Only! We have gone to great lengths using advice from experts in the fields of severe weather, preparedness, survival and safety to find the most useful items for this kit. Most tornadoes and bouts of severe weather are relatively short in duration luckily which is why we have no food or water included with this kit (and to keep the cost and weight down). But the bag does have plenty of extra space should you desire to add additional items. Over time, should we feel a better, more suitable product becomes available (as technology advances, etc), we will include that in this kit and/or replace a prior item that may not have been updated on this website yet. We also have larger battery backup devices for powering many more electronic devices that you can also get more information at here. If you have any other questions about this tornado survival kit or our underground or above ground storm shelters and tornado safe rooms, please contact us here.